2.1 What changes have been made to Diablo 3 during the Beta? 3 Is there a closed Diablo 3 beta test? 4 How do I register for the Diablo 3 Beta Test? 5 What is in the Diablo 3 Beta? 6 What was in the Diablo II Beta? 7 How long will the Diablo 3 Beta test run? 8 Will there be an open beta test? 9 How many Diablo 3 Beta testers will there be? 10 Are Previous Blizzard Testers invited to Diablo 3 Beta Test? 11 How are Beta Testers Selected? 12.1 What's an Alpha Test? 12.2 What's a Beta Test? 12.3 What's the purpose of a Beta Test? 12.4 What makes a good beta tester? 12.5 What countries are included in the Beta Test? 12.6 Are there age limits for beta testers? 12.7 Can I sign up multiple times? 12.8 Are there minimum system specs for Beta Tests? 12.9 How are Selected Testers Notified? 12.10 Will I have to pay for the beta test? 12.11 Will the Beta be downloadable? 12.12 What's a Beta Test like? 12.13 Will the beta change as I participate? 12.14 Will I be able to talk about the beta test? 12.15 Does Blizzard Expect Testers to Play a Minimum Number of Hours? 12.16 Will beta testers be given notice before the testing ends? 12.17 How Long After Beta is Release? 12.19 Do I get keep my beta character in the final release? 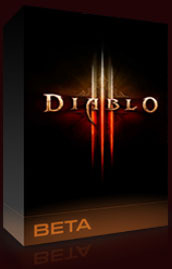 Diablo 3 Beta box art. The Diablo 3 Beta test began in early September, 2011, and was initially limited to "Friends & Family" testing. The closed beta began mid September and contains the same content as the Friends and Family testers were testing. The Diablo 3 beta test consists of the first half of Act One, with some story elements and game features removed. The beta test is largely a tech demo, with little game content open to fan feedback; it is not intended to be a full game balance playtest, like many MMORPGs. The test is mainly for the downloader, patcher, launcher, various behind-the-scenes services, and server hardware, there are specific updates or milestones for these we're tracking and they will likely determine more invites. It was universally-expected that there would be a public beta test for Diablo 3, and while Blizzard regularly hinted at it, the test was not actually confirmed , with a release window of "third quarter 2011," until Mike Morhaime did so during an Activision/Blizzard conference call in May 2011. The beta test got underway in early September 2011. It's unclear exactly when the test started; the Battle.net beta forums went online on September 2nd, and visuals leaked around that time  , and the Beta FAQ was posted on September 3rd. The first posts showed up in the Beta Support forum on September 4th, and got deleted while the Blizzard CMs continued to insist  that the Friends and Family beta had not yet begun. The Beta download client was available during this time, enabling anyone who had it to post screenshots of the client install and the options menus, but those people could not play the game without Diablo 3 Beta access on their Battle.net account. Blizzard finally confirmed that the F&F test was under way and the full test would begin soon, on September 6th. . The vast majority of changes in the patches have been bug fixes and skill and item balances however there have been some significant changes and additions which are noted below. Visit the patch links for the full patch details. New passive skills have been added for all classes. See individual class notes below for more information. All skills are now based off weapon damage. Switching out class skills will now require the use of a new feature known as the Nephalem Altar. Quivers, Orbs, and Mojos will now always come with +Min/Max damage. A new Mortar affix has been added to the game. Mortar monsters will lob grenades at enemies outside melee range. Player profiles have been added! These profiles will display important statistics for each of your characters, as well as 3D models featuring their current gear. Achievements are now available for testing. Please note that for the beta launch of this system, only a limited number of achievements have been included. A trial version of the Diablo 3 Currency-Based Auction House is now available for testing. Battle.net BattleTags are now live! Attack, Defense, and Precision have been removed. Dexterity, Intellect, Strength, and Vitality have been added. Nephalem Altars, Nephalem Cube and Cauldron of Jordan have been removed. Leveling artisans in Normal difficulty now only requires gold. Common (white) items can no longer be salvaged. Fixed a number of game and service crashes. Public chat and Real ID enabled. Magic Find and Gold Find are now shared amongst party members. The average combined value of the entire party's Magic and Gold Find applies to all players regardless of location in the game world. Christian Lichtner: There will be a closed beta. I can say that. We definitely will have that. It’s incredibly important for us to get feedback from people. You know, we only want to put a game out there when it’s done. For example, when ''World of Warcraft'' had its really long beta, everyone thought it was madness. It was like “Who’s gonna buy this game? People have been playing it for free for months!” And all it did was make the game better. We need it. We need people playing the game and giving feedback, so we can make the game better. AG: Blizzard has always been great at showing games to people at an early stage and I'm interested in that idea. Do you think there are risks of showing games to people early? What's your philosophy behind that? One of the reasons why we actually prefer a really long window before we release a game is because we want a lot of feedback; we want to hear what people like and don't like about it; we want to give them several opportunities to play it before release. We play our games constantly before we release them; we give them to the other development teams and we get feedback. We do very long betas and alphas that we include a lot of people – not just from the fanbase, but from the game industry as a whole. We get a lot of other game developers playing our games – months and months before we release – and I would say, look at the success of Blizzard games. If other companies think it's a risk, a bad idea... obviously it's not, because we've done very well on that front. You already are, if you have a Battle.net account and have completed a Beta profile. Blizzard maintains a support page with detailed instructions on accomplishing this. In order to be eligible to participate in future beta tests, you must create a beta profile. A beta profile is a snapshot of your current system specifications. It includes such information as how much RAM you have, available hard drive space, your graphics card and driver, and other information about your system. We gather this information to ensure that we are able to test our games on a wide range and distribution of systems. You can see more information about this in Blizzard's Beta Opt-in FAQ. The Diablo 3 beta test is roughly the first half of Act One, taking a brand new character from the start of the game up though the battle with King Leoric. All five character classes, all of their skills, and almost all of the game features are included. Followers, Artisans, and the full item system is in the beta, though only the Templar and Blacksmith are encountered that early in the game. Not in the beta: Some story elements were removed to preserve surprises, and there are no cinematics. Runestones are not included as they're undergoing further development, and the Arena is not available either. The Auction House was not available at the start of the beta, though the developers enabled the Gold Auction House in Patch 3 on 15th September and introduced the Real Money Auction House in Patch 7 on 2 December 2011. Blizzard credited all testers' accounts with 50 credits in order to test. The Diablo 2 beta took place in early 2000, and like all Blizzard betas in those days, there were only about 1000 testers, all of whom had a beta CD mailed to them. Modern betas start small and ramp up with more testers added over time, until far more than 1000 people are enabled to test. The Diablo 2 beta was all of Act One, in exactly the same form it had in the final game. All of the same quests, NPCs, levels, waypoints, mercenaries, monsters, items, etc. PvP worked just as it did in the final game as well. All five characters were available, and while they could be leveled up as high as you liked, only the first three tiers of skills were available; at Clvl 1, 6, and 12. The initial plans for the beta were quite extensive, with Jay Wilson claiming the game would be released about six months after the beta began. Jay Wilson spoke on this during a video interview from Blizzcon 2010. Geoffkeighley (via Twitter): someone has to ask this: When is the Diablo 3 beta gonna be? Jay Wilson: Probably about six months before we release. At the end of September 2011 Blizzard announced that Diablo 3 would not release in 2011 but rather "early 2012" which meant the beta would run longer than expected but with more testers than originally planned. Blizzard will use the additional time to extend the Diablo 3 closed beta test, which began September 20, potentially adding more testers than initially projected. The beta test is going very well, and we look forward to making the most of the extra time we're taking to deliver an experience that lives up to our vision for the game and the expectations of our players. Next year is going to be an incredibly busy one for Blizzard, and we hope an incredibly fun one for Blizzard gamers. No. Jay Wilson confirmed from Gamescom 2011 that the beta will only be a closed one; all players will need a beta key and an invitation to participate. 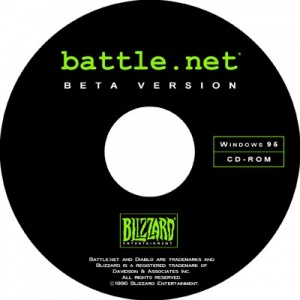 Early Blizzard beta tests were limited to just the 1000 beta CDs they pressed and mailed out. More recent tests with downloadable clients have grown far larger, and there will likely be tens of thousands of testers for Diablo 3. Not everyone starts on the first day, of course. Beta tests start small and scale up, with more testers added over time as the server stability improves. The Starcraft 2 beta test generally had more than 20,000 concurrent users, and many, many additional beta keys were distributed over the course of the test to keep the testing numbers up. It's widely expected that the Diablo 3 beta will follow a similar course. Only if you are already on the Blizzard's friends list. They do keep a list of good testers from past games, and add people to it when they reliably report numerous bugs, but the names on this list are kept private. Blizzard passes out beta keys to their friends and family, to media, and to others in the industry. They also give out beta slots to various fansites, media sites, business partners, and often conduct "invite a friend" events during beta tests. There are generally numerous ways to gain access, including with game pre-orders, and more promotions appear during the course of each beta test. Blizzard sometimes includes a slot for upcoming beta tests in the goodie bags they give out at Blizzcon or at World Wide Invitational events. (Though beta keys were not included in the Blizzcon 2009 or 2010 goodie bags, 1000 attendees from Blizzcon 2010 were randomly-selected to enter the beta test. The remainder of this page covers basic alpha and beta test questions, and is applicable to all types of video games. An Alpha test is run before the beta test, and is usually much smaller. The Alpha client is less finalized than the beta client, and is usually the first game build that's semi-complete and playable. Alpha tests are almost always private, and limited to employees, friends, and family. Beta tests are large scale tests of a near-finished video game. To date, all Blizzard beta tests have been semi-public, with website signups drawing in thousands of public testers, who join Blizzard employees, their friends and family, fansite invitees, members of the media, employees at other gaming companies, and others. Beta tests generally scale up in size as they progress; starting with a few dozen testers, then gradually expanding to hundreds and then thousands of testers. In the old days this meant physically mailing out beta CDs; these days with the beta clients being shared via bit torrent, it means passing out more valid beta CD keys. Beta tests serve multiple purposes, depending on the game. The original Diablo beta test was called the "Battle.net Beta Test" since it was largely made to test Blizzard's new online gaming service. That the software contained the beta client of Diablo I was almost beside the point, since the game was small enough to be tested internally. The hard part was getting the online matchmaking of Battle.net functional. All computer game beta tests are chiefly used to fix technical problems. Public beta testers have an enormously wide variety of computer systems, and ironing out all of the hardware and software issues keeps Blizzard's technical crew very busy. Numerous game bugs are fixed as well, as the influx of new players invariably find ways to break the game that the company's QA department didn't discover. Beta tests are very useful to companies as they work to streamline the early player experience as well. Beta tests seldom include the entire game, but they always have the early portions of the game, including character creation and other opening content, since it's essential (especially for Blizzard games) that their games are immediately involving and enjoyable. This is one reason companies like to pull in a wide variety of testers; noobs and dedicated fans alike. Experienced players will skip past minor glitches. How much actual game testing goes on in a beta test varies from title to title. RTS games like Starcraft 2 generally feature the entire game, but only the multiplayer portion. They can run for many months, as countless tweaks and changes are made to the unit stats as players find new ways to exploit units, and one race or another seems too powerful, or grows too weak as new techniques are developed. RPGs sometimes include the entire game client, but are usually more limited. Diablo II's beta only included Act One, and only the character skills up to level 18. The D2 team knew they'd need to make changes and tweaks and balances to items and character skills and monsters post-release, but they knew players would need longer than they wanted the beta test to run to get deeply enough into the game to offer valuable input on overall game/item/spell balance. The D2 beta was chiefly used to test out the new Battle.net features, and to test the early aspects of D2 itself. They wanted to perfect the fun factor, leveling speed, early items, skills, monsters and quests. Larger game balance changes were made in post-release patches and were based on the input and play choices of hundreds of thousands of players, rather than just a few hundred beta testers. It depends on what the test is trying to measure. Many would-be testers like to stress (in hotly-debated forum posts) that they would be great testers since they play a ton, are very experienced gamers, etc. That may be true, but the mistake such players make is thinking beta tests are primarily about game balance. That's an aspect of such tests, but far from the only one. Blizzard wants a wide variety of testers: varied computer systems, varied locations, varied play experience, and varied game interest. They know rabid D3 fans will play endless hours, and probably find some bugs. They also know that such players will learn how to control the game very quickly, and will not be slowed by unclear help guides, cumbersome controls, and other such minor difficulties that can stymie new players. Beta tests, especially those that do not include the entire game (like D2's) are largely about optimizing the early game experience. Seeing what players find helpful or confusing about character creation, early game quests, NPC interactions, using the interface, etc. And for that, total noobs are as or more useful than experienced players. In fact, since Blizzard usually distributes hundreds of beta slots through their fansites, slots that will go chiefly to rabid fans, getting lots of casual fans from Blizzcon attendees, other gaming promotions, and people selected via their B.net beta opt in service is essential. Blizzard beta tests are generally done internationally, though they often start with just North America for their test servers and most of the first testers. Blizzard has also been known to run beta servers in other countries where they expect a lot of players. They had extensive Battle.net servers in Korea for the Stacraft 2 beta, for instance. Yes, in accordance with each game's age limit rating, or expected ratings. These are generally enforced via drop down, "select your age" boxes, with all the unbreakable security protection those provide. Each Battle.net account entered in the Beta Opt-In is eligible to be selected for a given beta test. So if you have multiple accounts, yes. You can't submit the same account more than once, though. This can differ for expansion pack beta tests, since an account must have valid access to the current game in order to test the expansion. The D3 beta did not require any other games on the Blizzard account, but it's likely the Diablo 3 Beta expansion beta will require a valid copy of Diablo 3. There has to be some level of minimum machine to run a beta test, but developers try to include as wide a variety of tester equipment as possible. See the system requirements article for more details on Diablo 3's requirements. Blizzard beta tests are conducted digitally, all through Battle.net. Most of the testers are semi-randomly selected by Blizzard, by their Battle.net accounts. Selected accounts are given beta access, and players can do so by logging on and downloading the beta client. Notification emails are sent to the email address associated with each account. In addition to those selected testers, Blizzard generally gives out thousands of additional beta invites via contest winners, with pre-orders, via "invite a friend"
Blizzard does not charge for beta test slots. Beta test slots are sometimes sold, but not officially, and eBay and other online auction services do not permit the sale of beta slots. Yes. The days of mailed out CDs are long past, since Blizzard runs such large tests and the game clients are huge. Beta test clients these days are usually several gigs in size, and can take quite a while to download via torrent, even for fast connections. Generally, just like playing the game, albeit online only and with more bugs and server downtimes. There's no special procedure to follow, once you've got the client downloaded and your beta key working. You just start it up and play, but only through Battle.net. There is no offline play support. Constantly. Beta tests usually have a new patch almost every day, with minor and major changes, bug fixes, and more. List of all patches released for the Diablo 3 Beta. While previous Blizzard betas tests all had a Non-Disclosure Agreement (NDA), their more recent betas have not. Bashiok spoke on this in January 2011. Bashiok: I don’t believe we’re planning to impose NDA’s on future beta tests for any of our franchises. That’s of course subject to change. The Diablo 3 Beta Test launched in early September 2011 without an NDA, and players were free to talk about the test, to post videos and screenshots, etc. No, though they'd appreciate it if you played enough to find some bugs and give some useful feedback. Players who can't play, for technical or other reasons, are useful as well, since Blizzard wants to know what's stopping you. Usually the end of a test is announced some weeks in advance. This also depends. Some beta tests run right up until the release date, with the information from them being used for post-release patches. Others end weeks earlier, or are replaced by open beta/stress tests. A useful chart with dates for past Blizzard betas can be seen below. Click to see larger, legible size image. No free game. Sometimes top testers are credited in the game manual or online credits, and you might earn your way onto Blizzard's beta tester friends/family list, but the sneak peek at the game is the reward for most. No, characters in all Blizzard beta tests are wiped from the servers before the final game. (There are frequent character wipes during tests as well, as patches are implemented.) Carrying characters over from the beta to the final game would give beta testers an unfair advantage, and besides, there are numerous technical issues as the beta client is not the same as the final game version. This page was last edited on 20 April 2012, at 13:43.